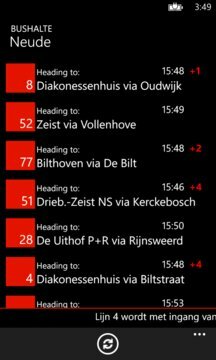 This app supports you when traveling by public transport in the Netherlands. 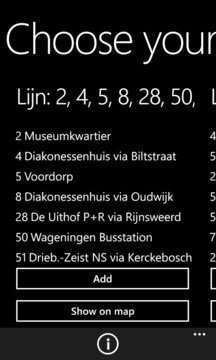 By using the data that is used for the dynamic stop signs, you can quickly see if your bus or tram is delayed or will leave earlier than planned. This app, but also the sources used are still in development (beta phase). Should you encounter any problems or when you have a suggestion, please let us know via the contact option on the info page. Also, you can find the link to our Facebook page on the info page. - Possibility to reorder stops in the first screen.